​According to A World Without Parasites : A zapper is a personal bio-electric device that is worn against the skin to destroy parasites and promote health. It’s powered by a 9-volt battery and operates on 15Hz (frequency). See Pictures below. ​All people suffer from parasites of one type or another during their lifetimes. Parasites are positively charged. Unhealthy tissue is also positively charged. The introduction of weak electric current (via the Zapper) destroys parasites by reversing their polarity. Negative ions are added to encourage diseased tissue to heal — healthy tissue is negatively charged. ​Parasites cannot defend their positive polarity (shortage of electrons) against the introduction of simple direct current and they die very quickly. Negative ions will repel parasites whether electric current, magnets, or orgone generates the ions. Parasites not only die when subjected to electricity, but also disintegrate and are easily assimilated as harmless nutrients or eliminated. All zappers evidently destroy the entire range of bacteria, viruses, fungi and worms in the body by vitalizing their environment: blood, lymphatic fluid, cerebrospinal fluid, urine, sweat, mucus, intestinal contents and even inside the eyeball. The Terminator Zapper© is a harmless research device and you are a De facto researcher. I read everything about how the Terminator Zapper works and also the stronger T-Rex, but I decided to follow their advise and get the Terminator, as this was going to be my first experience with a Zapper. I received the one Carol sent me via USPS on a Thursday evening, and began wearing it that same night. 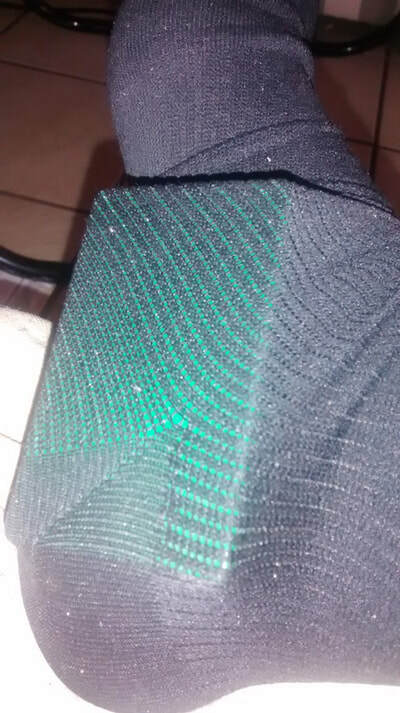 I placed it in a compression sock so it was flush against my leg and eventually rotated it to my foot, per their instructions, before falling asleep. After reading that it mainly immobilizes and eventually kills parasites, I did not know what to expect, but since it's harmless to me, I was happy to try it. Everyone who knows me, know that I have a really bad back with terrible pains, and especially debilitating, right hip pains, that get worse with rest, whether lying down or sitting down. So, I was very pleasantly surprised when I didn't wake up during the night with the usual restricting pains, and then woke up Friday morning, and didn't feel the debilitating pains that always restricted my movements. I couldn't believe the little Terminator Zapper had begun to work so fast. By Friday night I was practically pain free in my right hip, and my back felt great. I had to remind myself to not bend or do any heavy lifting, as there is structural damage in my Lumbar area. I am still amazed at the relief this tiny, unassuming gadget has brought to my life. PLUS: That Sunday, I had some good detox action, that kept me busy visiting the toilet...Found out that's just another benefit of the little Terminator. It Zaps those critters and helps your body to detox and eliminate them...I call that a win, win situation. Can't wait to see what other benefits this little Terminator Zapper has in store for me. 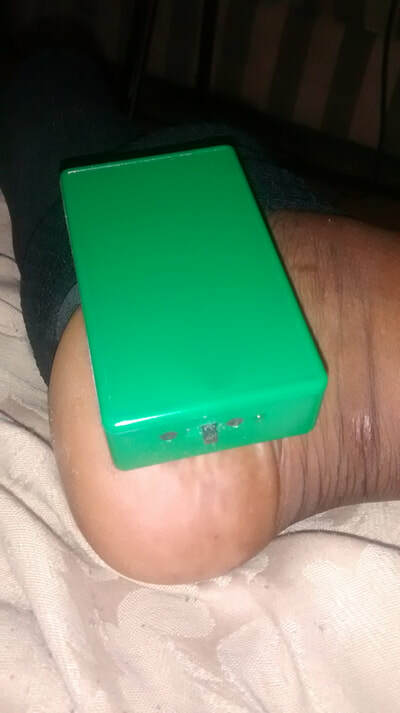 I know that they don't sell these Zappers as medical devices, but oh boy, do they work well. 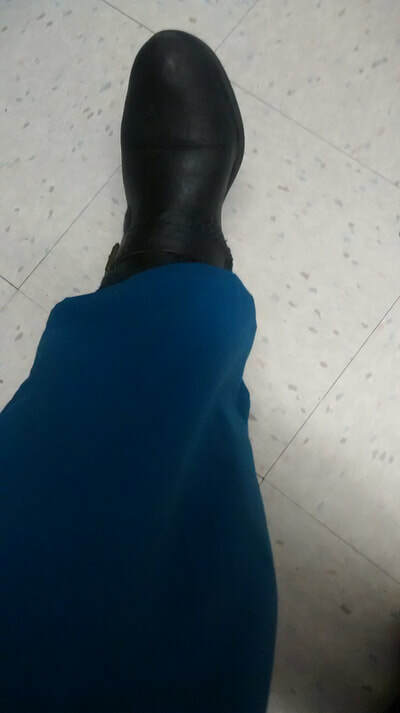 As seen in the pictures above, my little zapper fits well under my scrubs so I can wear it to work, to get the benefits all day. I think I can wear this for a month 24/7, then intermittently as needed. I'm soaking up the goodness of my Zapper. I won't be selfish though...I'll share it's benefits with family members. But this little gadget will have my name on it, so everyone knows the return address. For now, I only take it off to take a shower, and I sleep with it under my foot bottom, just in case it tingles my skin while I sleep. My foot bottom can handle any tingles. I will try sleeping with it in my palm next time, as that's also a safe location for sleeping with it. UPDATE: So, I've been using the Terminator Zapper and I was very pleased with the health benefits. I couldn't be happier knowing that I was now in the realm of Electromedicine. Then I got the best surprise...Don was so kind to upgrade me to the The T-Rx©, Modified Terminator Zapper, and the stronger sister to the Terminator. Oohh, this little beauty is priceless...I immediately popped a new Alkaline 9 Volts battery in, and put it to work immediately, AND DID IT DELIVER! Well, I woke up the next morning with serious brain fog...But I knew this was different from other times in the past. Noooo, don't feel sorry for me, because that was awesome. Why? The T-Rx was doing an amazing job...That's why. You see, I am a Traumatic Brain Injury (TBI) survivor, and I have chronic brain inflammation that sometimes cause some serious migraine headaches. PLUS, I have been dealing with Gadolinium Toxicity, due to too many MRIs with contrast...Imaging studies done for diagnosis and treatment for a serious, work related back injury, and several Brain Imaging studies done over the years. When I woke up in the morning feeling like that, I didn't immediately understand why. Then, when I got to the bathroom I looked in the mirror and saw that I was still wearing the T-Rx inside my bra next to my left breast. (Can't do that with your cell phone, but the T-Rx is perfect right there.) I had Left Frontal Brain Trauma, so the T-Rx was placed perfectly on my left side. The closer to the site of injury, the better. Although I believe this T-Rx has a 50 feet range. I will keep wearing my T-Rx for as long as I can. I will also continue the Oral Chelation that I started months ago. Combined with the amazing benefits from the T-Rx, I expect a full recovery. It's so wonderful to know that we can help our bodies heal from almost anything...We just need to know what to do. I'll say this again...Every home should have a Terminator Zapper or a T-Rx, just like you have a thermometer or a blood pressure cuff, or other supplies you keep in your medicine cabinet. Check out A World Without Parasites, and don't let the name fool you. These little gadgets take care of so much more. 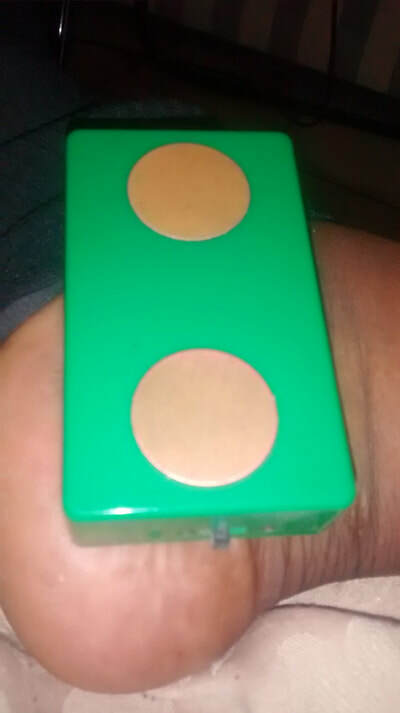 They are a really good investment for anyone who wants to get some benefits from body zapping. If you have questions Don or Carol will answer them. They respond to emails really fast, or you can get their number from the website. How & Why This Zapper Works? : This link takes you to A World Without Parasites.